14 May 2018: Germany is a country made up of thousands of towns and cities, all with directly elected mayors. A city (Großstadt) is officially defined as an administration unit with a population greater than 100,000. As of 2013, there are 76 cities in Germany. Only four cities, Berlin, Hamburg, München (Munich) and Köln (Cologne), are Millionenstädte - cities with a population of more than one million. Nine cities have a population of more than 500,000 people. The mayors’ terms of office vary between five and nine years, depending on the state. Each municipal council is headed by an elected mayor, known as Bürgermeister - or Oberbürgermeister (lord mayor) in most larger cities. According to the latest statistics (World Urbanization Prospects, 2011 Revision), 74 per cent of Germans (some 63 million people) live in urban areas, ie. in its approximately 6,000 towns and cities. Germany’s 300 largest cities and towns alone house half of the populace. Despite high numbers of one million people immigrating to Germany every year, the size of Germany’s urban population is generally stagnating given its already high rate of urbanisation and a generally decreasing population. There are exceptions to the rule, however, as Berlin and Munich for example are attracting a larger share of newcomers and so are projected to grow by tens of thousands every year until 2030. Other growing cities include Dresden and Leipzig in the eastern half of Germany as well as university cities of all sizes in the West. Next elections 2020 Born 1970; Degree in economics from the University Dortmund; Member of the North Rhine-Westphalia state parliament from 2005 until 2015.
other local government administration posts including in Bonn. Qualified in law in 1995. Next elections May 2019 Member of Bundestag 2009  2015. Member of Bremen House of Representatives 1995-2009. Doctorate in Economic Sciences which was achieved in 1990’s part  time whilst employed full-time. Next elections September 2021 Born 1956. Lawyer. Survived assassination attempt on eve of polling day. The assault was prompted by her pro-migration policies. Deputy Mayor of Koln/Cologne 2010-2015 responsible for integration, social affairs and environment. Deputy Mayor in City of Gelsenkirchen 2000  2010. First female mayor of Koln/Cologne. Accused of victim blaming after the assaults in the city at New Year 2016 when she suggested women should adopt a code of conduct including a clothing element. Citizens for Dresden and subsequently supported by CDU after first round. 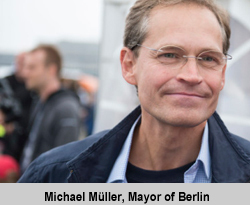 He was a Deputy Mayor and Acting Mayor of Dresden between 2008  2015.
worked as Assistant Secretary Economic Affairs City of Dresden. Former Deputy in state parliament. (North Rhine-Westphalia) Thomas Kufen (Mr) Elected September 2015. 62.6% of votes. Management career. Since 2000 has managed a public agency. Campaigned for mayor with cross-party support. Now leads a Centre-Right coalition. 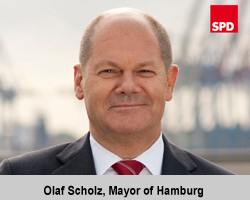 (Free and Hanseatic city, city-state) Peter Tschentscher (Mr) Succeeded Olaf Scholz when he was appointed German Minister of Finance in March 2018 Born 1966, lawyer, Doctor of Medicine. From 1994 until 2008 he practiced at the University Medical Centre Hamburg-Eppendorf. Hamburg Finance Senator from 2011 until 2018. Previous occupations include police officer in Frankfurt for 10 years and lawyer. Member of the Kassel City Council for 10 years including City Treasurer 2015 - 2017. Following major financial losses in the 2017 edition of Documenta, Kassel’s trademark art event, Christian Geselle called for the disbandment of its supervisory board. Lawyer, former Judge and member of the state government. Lübeck city councillor from 2011 to 2018. Worked previously in the financial sector. Employed by CDU from 1998  2014. Previously worked in publishing as sports editor at Braunschweiger Zeitung from 1983-1987 and as editor of Rheinische Post from 1987-1998. Prominent in Catholic Church in region. Elected with support of Green Party. After working in environmental technology and materials research he became managed a section of Wuppertal Stadwerke from 2000-2011. From 2011-2015 he was managing director of Wuppertal Quarter Development GmBh. Member of Wuppertal City Council 1994-2011. Germany is a federal parliamentary democracy, made up of 16 federal states (Länder). The Länder are North Rhine-Westphalia, Bavaria, Saxony, Baden-Württemberg, Hesse, Schleswig-Holstein, Sachsen-Anhalt, Lower Saxony, Brandenburg, Mecklenburg-Vorpommern, Rheinland Pfalz, Saarland, and Thuringia, and the city-states Hamburg, Berlin and Bremen. Each Land elects a regional parliament, or Landtag, for a five year term which in turn appoints the state administration (Landsregierung) headed by a minister-president (Ministerpräsident). The Länder are mainly responsible for culture, education, environment and policing, with a number of shared responsibilities with the federal government over legal and penal issues. In all but one of the 16 Länder, the council system exists whereby each local government, in the form of the municipal council, is generally elected for a five year term, though this can vary between four and six years. Each council is headed by an elected mayor, known as the Bürgermeister - or Oberbürgermeister in larger cities - who acts as head of both the council and the administration. The mandate can vary from four to nine years. 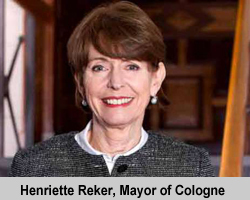 In Hesse however, the magistrat system is used, whereby the mayor presides over magistrates appointed by the council to act as the administration. Common responsibilities of this tier include planning, water management, social welfare and the building and maintenance of schools. Some councils also engage in cultural, economic development and energy-related activities, depending on the Land. Today there are around 14,000 municipalities across Germany. Above the local tier and beneath the Länder, a tier of 300 units of local administration known as Kreise (districts) also exists. These are overseen by a district council, with a mandate varying between one and four years, again depending on the Land. Aside from the legislative function of its council, the administration (Landratsamt) is headed by a district president (Landrat), who is either appointed by the council or directly elected for a five to eight year term. This tier engages in the construction and maintenance of roads, some aspects of social welfare and waste management, though some are also able to engage in tourism promotion, libraries and higher education. Cities represent the lowest level within the three administrative levels (federal, state, municipal) in Germany. The Federation and the Länder put certain tasks to the municipalities  they are also supposed to allocate the corresponding funding with it which, in reality, is not always the case. Within the framework of self-administration, the cities organise and administrate their own voluntary activities which they also have to pay for with their own budgets. All public services are generally managed locally, like (waste) water management, waste disposal, energy supply and such. The municipality is free to handle activities in these fields on their own or decide to outsource them to private businesses, which has become a common practice during recent years. Other voluntary activities are overseen by the municipality as well. In addition, most activities commissioned by the Land are carried out by the responsible municipal administrations as the lowest official body in the federal system. These include the organisation of elections, the registration for the military and so on.